This is the only time I asked Ali to do anything for the camera. As we came back from his dawn run I saw the entrance to the camp for the first time, and I told Ali I’d like to get a shot of him there. Tired from the run – still without breakfast – he posed himself as you see. 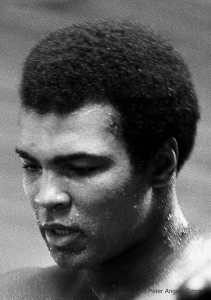 It is the only picture I can recall where you see Muhammad Ali in a passive pose. The previous day I had watched his father paint the boulder on the left. Already it was in place, joining other boulders with the names of boxing greats arrayed around the camp. 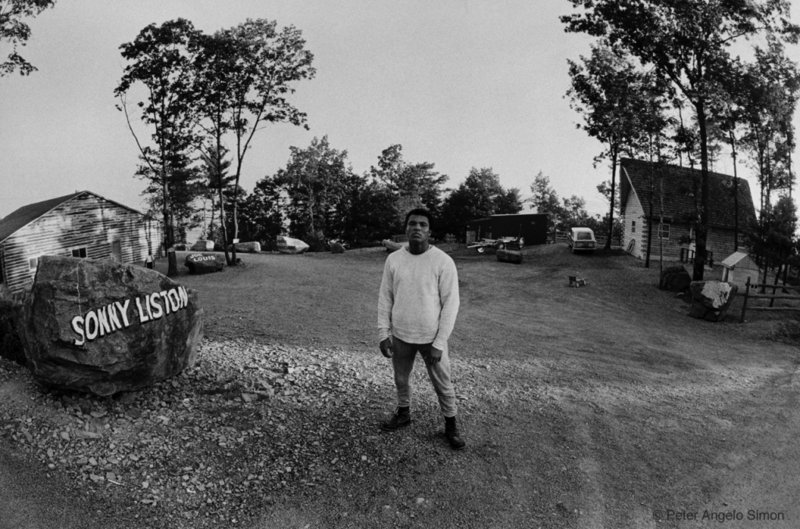 The camp’s buildings all were made of logs as Ali specified for his Fighter’s Heaven.